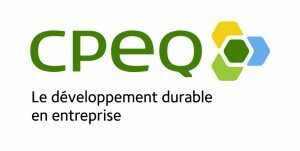 The Conseil du patronat du Québec (CPQ), the Québec Business Council on the Environment (CPEQ) and Éco Entreprises Québec (ÉEQ) are proud to be releasing the first study on the potentials and perspectives of circular economy in Québec. In the context in which, like other jurisdictions around the world, the different levels of government are beginning to take an interest in circular economy, it is important that a substantive debate be conducted on the topic, to the benefit of businesses. The Institut de l’environnement, du développement durable et de l’économie circulaire (EDDEC) and the Groupe de recherche en gestion et mondialisation de la technologie (GMT) at Polytechnique Montréal called for the study. A course for the future to accelerate our transition to a greener economy, circular economy is a concept that remains relatively unknown in North America. It involves optimizing resource use in every life cycle stage of a product or service, reducing the environmental footprint and contributing to the wellbeing of individuals and communities. The study is based on an analysis of circular economy policy and an exhaustive review of the most recent literature on the topic. It determines the sectors with strong potential, as well as the economic, technological, social and policy-related barriers and levers. Thus, the study explores five circular economy strategies through case studies of Québec businesses: recycling, reconditioning and refurbishing, service economy, industrial symbiosis and collaborative economy. The work conducted over the past months made it possible to establish a series of recommendations focused on two key elements: knowledge development and market and business support. In the coming months, the Conseil du patronat du Québec, the Québec Business Council on the Environment and Éco Entreprises Québec will work to better communicate the potential of circular economy for the province and invite representatives from all levels of government—and from the provincial government in particular—to purse work to foster the broader emergence of circular economy and stimulate investment by the public and private sectors. At the same time, the three organizations are of the opinion that modeling based on data specific to Québec is critical to better predict national benefits, for example in terms of GDP growth, job creation and greenhouse gas reduction.